Established in October 1968, they fly the E-2C Hawkeye out of NAS Norfolk, VA, as the only airborne early warning role for the carrier battle group. Heavily involved in Desert Storm, the "Tigertails" were credited with controlling two F/A-18C Hornets that shot down two MiG-21s on January 17, 1991. Currently deployed on the USS Eisenhower (CVN-69) with CVW-17. Established in October 1968, they fly the E-2C Hawkeye out of NAS Norfolk, VA, as the only airborne early warning role for the carrier battle group. Heavily involved in Desert Storm, the "Tigertails" were credited with controlling two F/A-18C Hornets that shot down two MiG-21s on January 17, 1991. Currently deployed on the USS Eisenhower (CVN-69) with CVW-17. This is the desert version of their squadron patch. Established in October 1968, they currently fly the E-2D Hawkeye out of MCAS Iwakuni, Japan, as the only airborne early warning role for the carrier battle group. Heavily involved in Desert Storm, the "Tigertails" were credited with controlling two F/A-18C Hornets that shot down two MiG-21s on January 17, 1991. 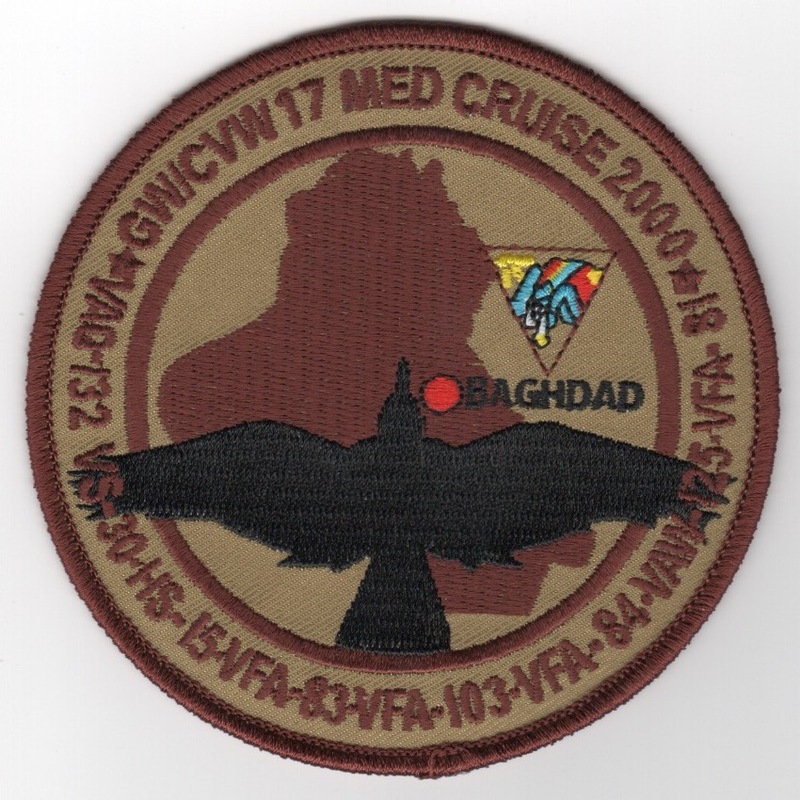 This is the subdued version of their squadron patch and does not come with velcro attached. 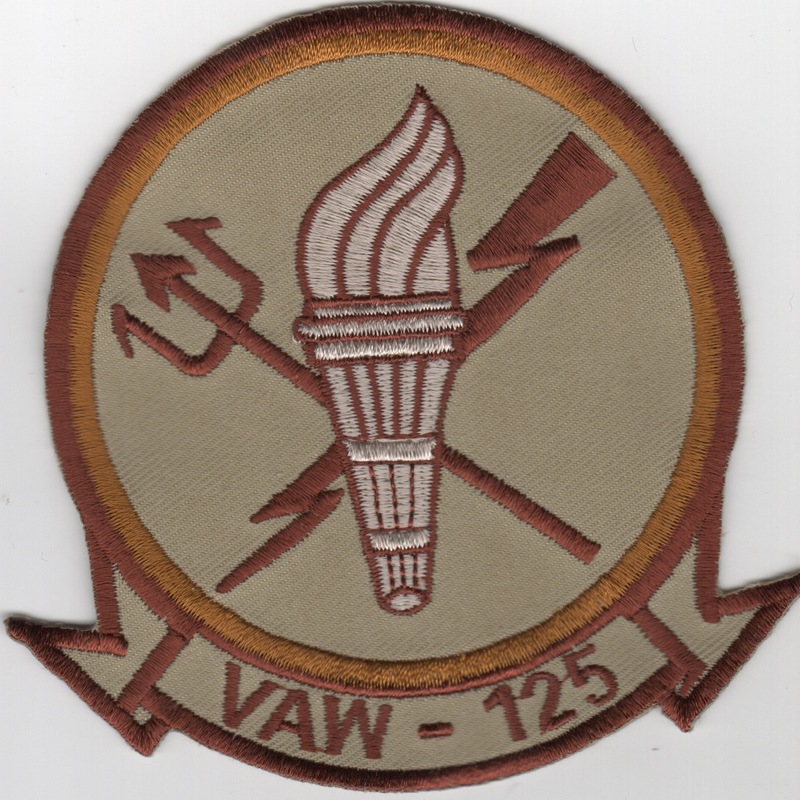 This patch was sent by the VAW-125 Tigertails and depicts the plight of the Naval Officers during the years of '93-'95. The manning shortfall for those year groups kind of makes a "T" in their manning diagrams. That's where the "T" in T-notch comes from. It stems from the Navy RIF'ing too many people during the draw down of the early 90's. Guys in those year groups are pretty much assured of promotion since they are so hurting for people. That's the story behind it. Established in October 1968, they currently fly the E-2D Hawkeye out of MCAS Iwakuni, Japan, as the only airborne early warning role for the carrier battle group. Heavily involved in Desert Storm, the "Tigertails" were credited with controlling two F/A-18C Hornets that shot down two MiG-21s on January 17, 1991. 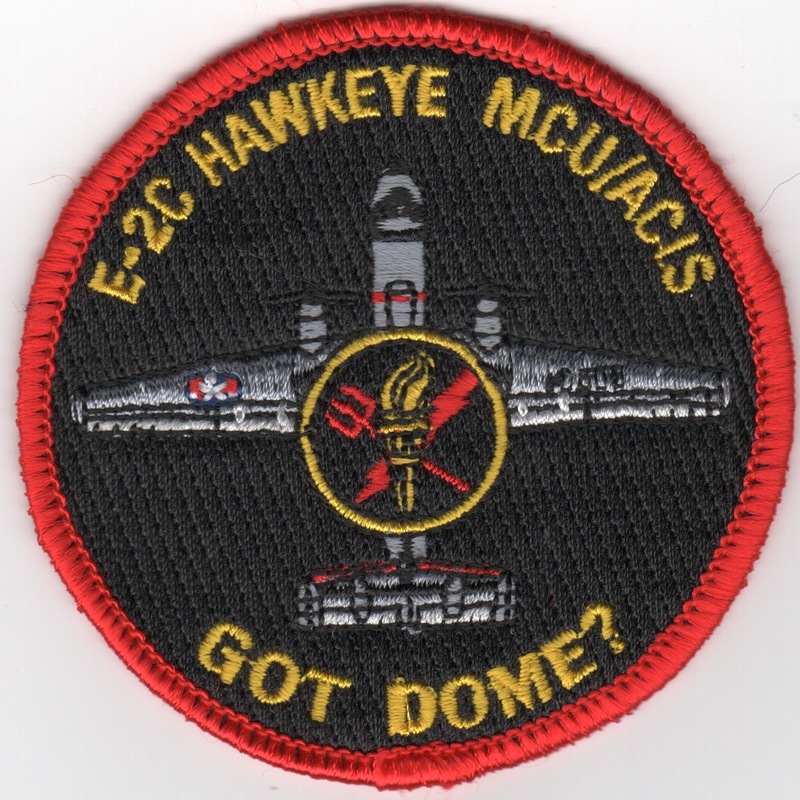 This is their "GOT DOME" aircraft patch. Established in October 1968, they currently fly the E-2D Hawkeye out of MCAS Iwakuni, Japan, as the only airborne early warning role for the carrier battle group. Heavily involved in Desert Storm, the "Tigertails" were credited with controlling two F/A-18C Hornets that shot down two MiG-21s on January 17, 1991. 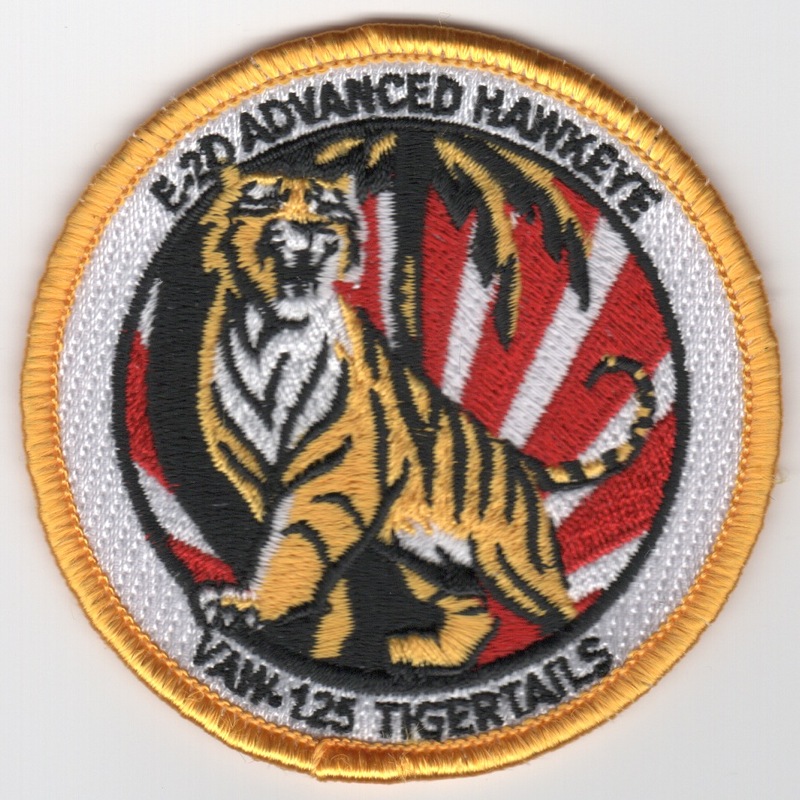 This is their "E-2D Advanced Hawkeye" aircraft patch and does not come with velcro attached. 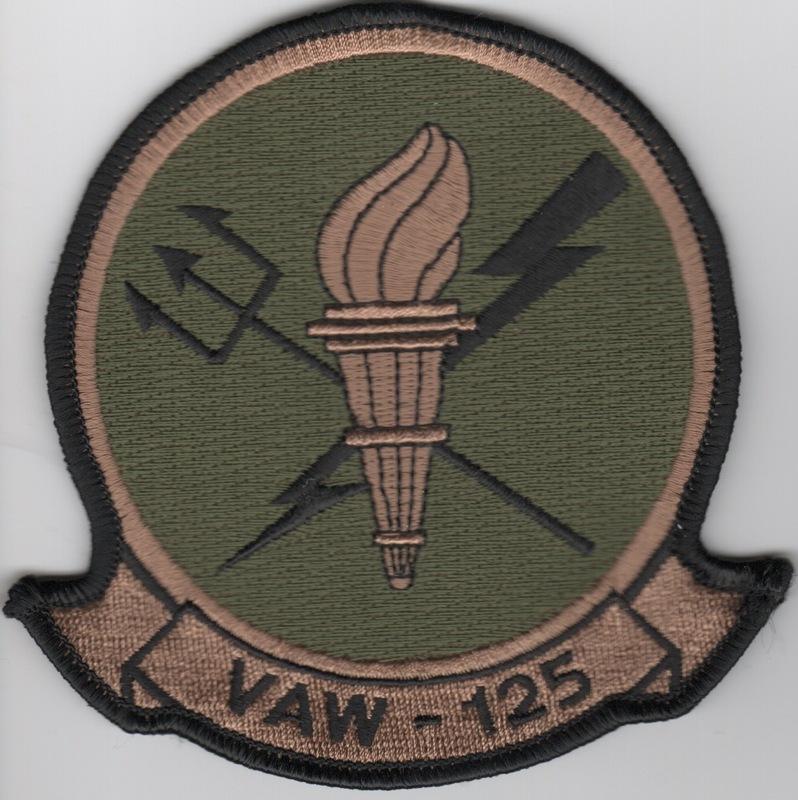 Homepage | Order VAW-125 Patches!